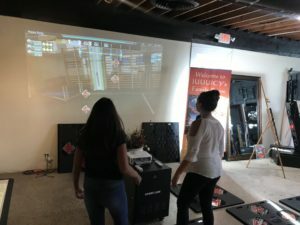 Looking for things to do in West Palm Beach, FL then you found the right spot here at Juuuicy! In our building, we have a number of fun things for kids, adults, and families to have fun! 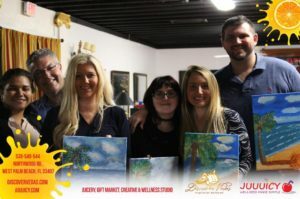 At Juuuicy you can do plaster painting, you can play tabletop games, you can enjoy different virtual reality games, you can host a private event, you can enjoy our patio while grabbing a drink or meal from our restaurant and juice bar right next door, kids can have a slime-making parties or plant a plant! Here are some of the photos from all the different things you can enjoy at Juuuicy! Follow us on instagram and facebook @Juuuicybuilding to keep in touch and make sure to sign up for our enewsletter! What’s the Virtual Reality Games/Rides & Tabletop Games? 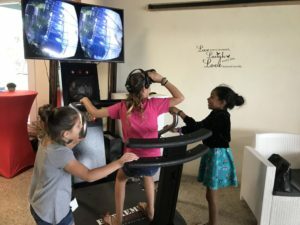 Our virtual reality Xtreme Machine has 18 different virtual reality games and rides. On this machine you can fly, go on a roller coaster, bungee jump, go skiing, ride a BMX bike, and so much more! Its really a fun machine and some of the rides and games are super intense some are just nice to ride and experience the world with a different view! 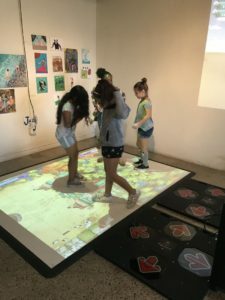 We also have an interactive floor machine with virtual soccer, interactive burst the bubble perfect for younger kids and 18 different games. Our idance station is used when we have birthday parties and up to 8 kids can dance and compete at the same time. Its a fun way to get kids to exercise while having fun! 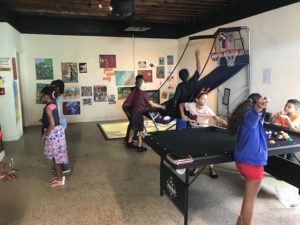 The tabletop games include: Pool, Air Hockey, Shuffleboard, Connect4, Jenga and a Basketball Hoop for fun competitions and play time! The Game room is perfect to enjoy any time we are open. Come any time we are open to enjoy plaster painting. This is perfect for kids, families, and adults. We have a lot of couples and friends come out on the weekends at 7pm to enjoy the plaster painting. Its very meditative, you can play too so plaster painting and games night has become a weekly thing for many people to come out and enjoy! 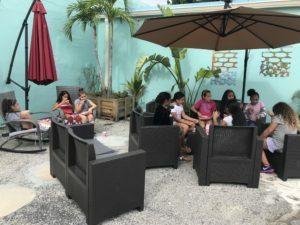 We have a Kids Bar open any time the building is open and you can grab popcorn, cotton candy and snow cones as well as water, sodas or organic juices and smoothies from our vegan restaurant next door. The Kids Bar menu is simple (Popcorn $1.5/each, Snow Cones $2/each and Cotton Candy $3/each). 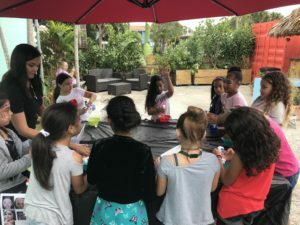 If you are having a birthday you can simply add a full package with the Kids Bar to your birthday party! Juuuicy also has a boutique with handmade items from around the world. We have a 100% fair trade handcrafted boutique showcasing local and international artists. Our boutique features special pieces from handmade Toquilla Hats, to Indian Meditation cushions and protective Indian silver bracelets and so much more so stop by to enjoy the beautiful things found at Juuuicy from different countries such as Kenya, Guatemala, Dominican Republic, Brazil, Ecuador, Peru, and more! 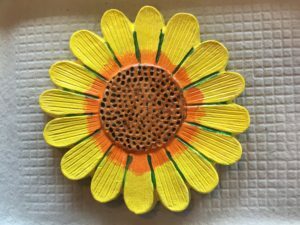 We support international non-profits that work with individuals that have been sexually or physically abused or have mental disabilities by shopping from fair trade organizations that mainly work with artists with these types of hardships.